Bloomfield is a small and family-like restaurant in the heart of Outremont that has a contemporary cooking mindset; the dishes on the menu get their inspiration from around the world. 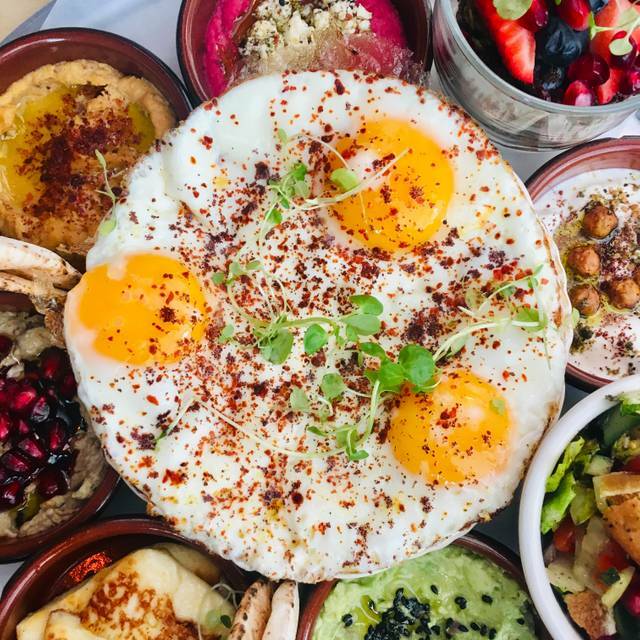 You have the crispy socca found in Nice served with freshly toppings, the typical Mexican corn with mayo, pecorino cheese, chili and lime, a mediterranean lentil salad on top of which sits an octopus arm cooked to perfection, and the list goes on. While the taste and the presentation is evidently important, we care a great deal about the quality of our dishes, that is why we pride ourselves in serving as much as we can organic, fresh and locally produced ingredients. The same goes for our wines which are chosen for their exceptional taste as well as for their ecological and organic production. Boeuf braisé, tomate, parmesan, crème fumée. Pu-erh, navet, cresson, oignon vert. Lovely little spot for a nice weekend brunch. Its the second time I come to brunch at Bloomfield. I really love this place and all the staff! The staff were excellent and the food was too. The restaurant is beautifully decorated. Just the table for two is very tight and small. Wonderful, tiny resto is my go-to with special friends. The dishes are sublime. Great wine list and now some beers too. Everything served, from salad to dessert, is amazing and satisfying. Service is wonderful. Malgré une apparence décevante, on y trouve de trés bons mets préparés avec soin et le service y est aimable. La clientéle quelque peu bigarée est jeune et se retrouve en terrain connu. L'espace-salle en forme de 'L' semble une arrière pensée de la cuisine qui occupe la plus grande partie de l'établissement. L'ambience ainsi tronquée n'est invitante ni confortable. Somme toute, un endroit pour les jeunes qui recherchent la très bonne bouffe chez des amis de leur génération, sans trop se soucier des valeurs accessoires. New spot. Will come again! My new favorite brunch. 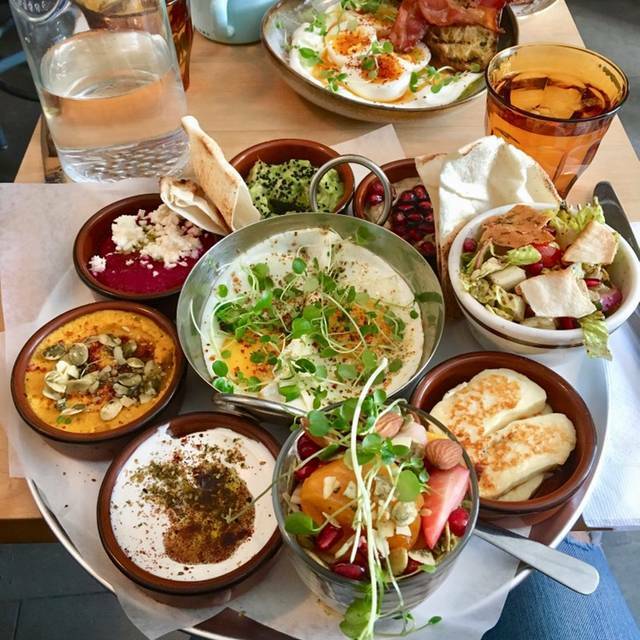 The Jerusalem platter for 2 is excellent value, delicious and refreshing. It's a vegetarian meal that doesn't make me miss bacon at all (I do love bacon, which is why the photo shows a couple extra bacon but it's not necessary at all). Plus it's gorgeously presented, so when it's placed in front of me, I see the beautiful dish and my beautiful wife across me, and in that moment the world is alright. 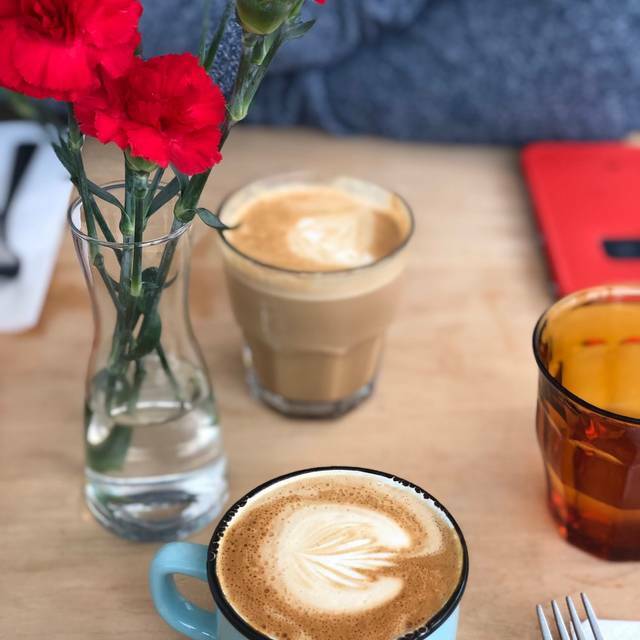 Place is tiny so you must come early to avoid the crowd and get comfortable seating (10:30 AM on Saturday or Sunday is perfect, even when I bring my 5 year old). Service is very friendly and casual. Coffee is good. Can't wait for spring/summer when I can sit outside. Cuisine inventive, goûteuse, et mise en assiette appétissante. Service sympathique et attentionné. Décor très joli. 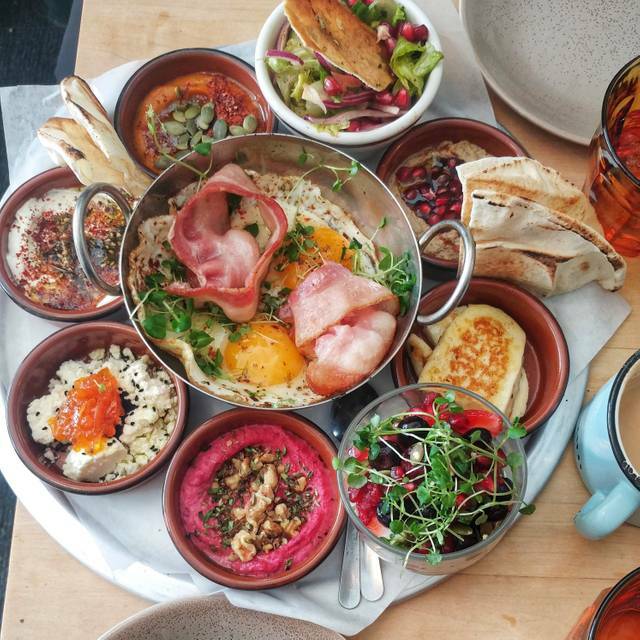 Went for brunch and it was a perfect experience 🙌 Had the Jerusalem plater for 2, beautiful presentation and very filling, with delicious variety. It’s a very small, cozy restaurant with colourful flowers hanging from the ceiling. The staff are wonderfully nice as well attentive, and the owner/chef comes around to greet you and check up on your experience. 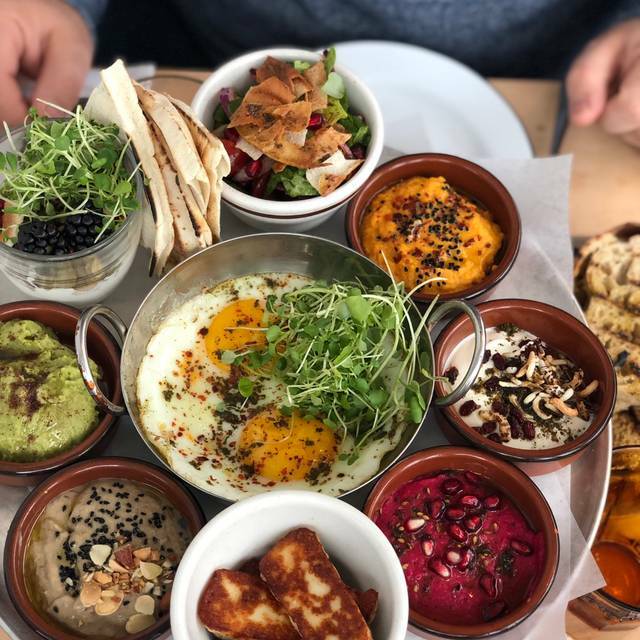 Can’t wait to try their dinner!Went for brunch and it was a perfect experience 🙌 Had the Jerusalem plater for 2, beautiful presentation and very filling, with delicious variety. It’s a very small, cozy restaurant with colourful flowers hanging from the ceiling. The staff are wonderfully nice as well attentive, and the owner/chef comes around to greet you and check up on your experience. Can’t wait to try their dinner! Everything about Bloomfield is exceptional. The food is sublime (but if you're ravenous, get a starter). The service is impeccably prompt and complete, and fluently bilingual (important for my unilingual BC guest). The location, if you're taking public transit is a mere three blocks from the Metro station. Highly recommend. Très bon service, ingrédients frais, succulentes entrées. Malheureusement la cuisson de la viande a été ratée pour l’emsemble des 5 convives de notre table. Very mediocre food. Octopus needed salt. Pork was drenched in a cloying sauce. Pizza was very average for what they charged. Tables are tiny and chairs are very uncomfortable. Won’t be back. La nourriture était délicieuse et saine, ce sera un plaisir d'y retourner. Loved it. Quality ingredients, nicely prepared. La nourriture offre une proposition différente, savoureuse et on sent tout l’amour qui est mis pour satisfaire, surprendre et faire plaisir aux invités. Bravo! Côté service, nous avons été très déçus. On a senti bcp de stress de la part du serveur à notre arrivée. Malgré la période achalandée, ce qu’on peut comprendre, nous n’avons pas à partager ce stress. Également, vous semblez être “kids friendly” mais n’avez aucune offre pour les petits, aucune solution en petits formats. Nous n’avons même pas eu une autre suggestion lorsqu’on nous a dit qu’on ne pouvait même pas avoir un œuf brouillé. Voilà, bien humblement. Au plaisir! Nous avons été déçus. Pour une facture similaire, ou à peu près, pour un lunch, on peut aller aux Fillettes ou à la Brasserie Bernard. Or ces deux restos offrent plus de qualité dans la nourriture, le service, l'ambiance, le confort des tables et des chaises. AMAZING. One of Montreal's best brunch. Reservation is recommended, place is small, might be some waiting for a table if you didn't reserve. Le Bloomfield is more than a neighborhood restaurant. 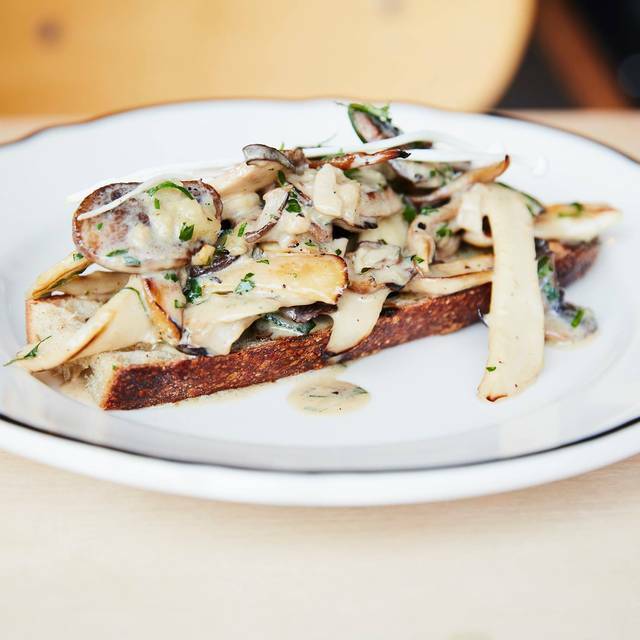 It reminds me of these really cool restos in Los Angeles, without the cost of the plane ticket. The freshness of the carefully selected foods, come mostly from local farmers, worths the detour. In addition, it is easy to find a parking spot. I mention it because it's a big plus. People suffering from food intolerance will find their account. The warm atmosphere gives us the feeling of being at home and sharing a good meal with friends. The chef, Caroline Dumas, spreads her joie de vivre from oven to plate. It shows and it tastes really good. If you are sensitive to sulphites in wines, you will find an excellent list of organic wines. Simply delicious. I love this restaurant. I go there for business lunches (brings me luck) and the evening with friends and relatives. They have a brunch that I promise myself to try very soon. Better make a reservation a few days in advance. The place is well known to brunch lovers. I’m usually very picky when it comes to food. I give 5 stars without hesitation. Amazing brunch menu! Healthy and tasty! Will defs go back! Tout simplement délicieux! Une cuisine simple, authentique et savoureuse. Idéale pour un brunch entre amis. Bon restaurant de quartier. Très petit et moyennement confortable, on n’y reste pas 3 heures. Mais les plats sont excellents et les prix fort raisonnables pour la qualité. Les assiettes sont colorées et il y a beaucoup de légumes! J’avais lu qu’il y avait précédemment des problèmes de ventilation, mais en ce soir de septembre, je n’ai pas remarqué de problème particulier.